Serving Full-time, 365 days a year, since October 2018. ​We helped 1,600 in our free medical outreach in October. We were not able to open the full -time medical facility until mid- December due to a number of technical difficulties. We had a slow start but hope to improve in 2019. Immediately following the dedication service, we began our first free medical outreach at Graceland Hospital. During 6 days we served more than 1,600 people with medical care, including about 40 surgeries. See picture at: Free Medical Outreach in Gusau. ​See Graceland Hospital Dedication Service blog for photos. Full official name of clinic is Graceland Hospital. 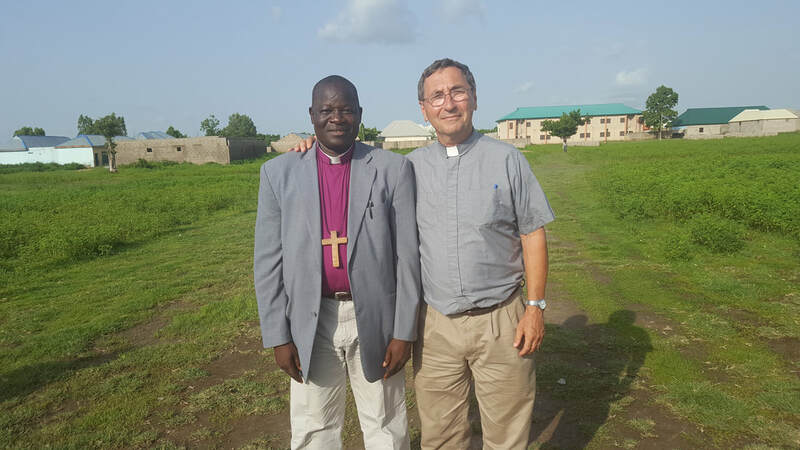 The new clinic is being built on property adjacent to Graceland International School which is a Primary through Secondary school ( Grades 1 through 12 in American terminology) run by the Anglican Diocese of Gusau and sponsored by Africa Education Partnership. We hope that there will be an integration of the school and the hospital. A very high percentage of students at the school aspire to be doctors, nurses, pharmacists and lab scientists. We hope to integrate the school’s education mission with the hospital’s healing mission. This hospital is larger than any other clinic Kateri Medical Services has helped to sponsor in the past. 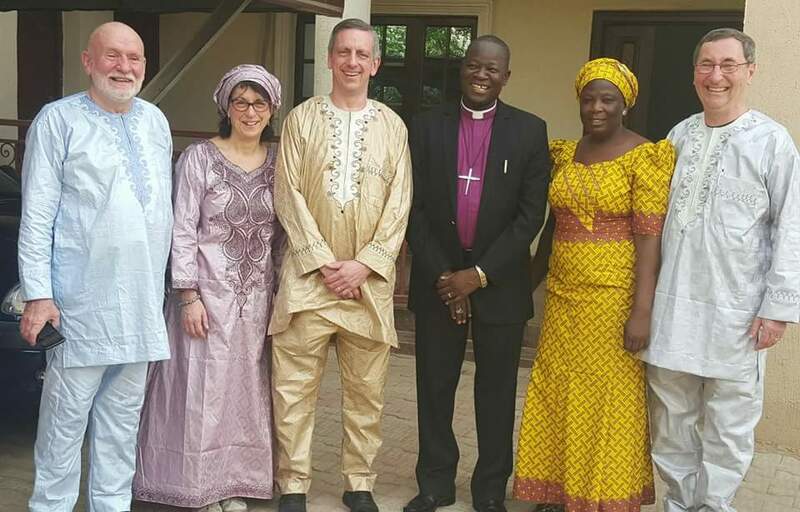 The Anglican Diocese of Gusau is headed by Bishop John Danbinta. Bishop John and Kateri Medical Services’ President, Rev. Tom Furrer have been close personal friends for 15 years. They first met when Bishop John was a priest in the Diocese of Kaduna. They have been discussing the possibility of building a clinic in Gusau for many years. In 2016, they began to make serious plans to build the clinic and construction began in 2017. Graceland Clinic is a Dream Come True for Bishop John who is very grateful for all those who have contributed to this project. We were not able to open the full -time medical facility until mid- December due to a number of technical difficulties. We had a slow start but hope to improve in 2019. 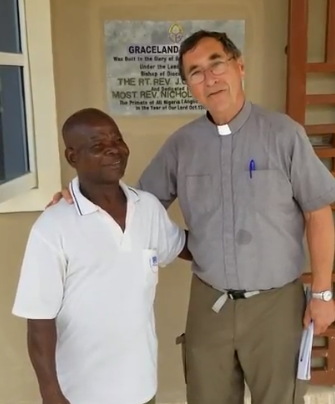 Meet Augustine, one of the masons who labored in the hot sun for the last two years to build this hospital building. Like all construction workers, he is proud of his work. Many Workers Contributed to Graceland Hospital. This is the land for Kateri Medical Service's third clinic in Gusau in Nigeria. Bishop John Dan Binta bishop of Gusau diocese and Father Tom from Kateri Medical Services. This land is already owned by the diocese.